In Some Assembly Required, Anne Lamott enters a new and unexpected chapter in her own life: grandmotherhood. Stunned to learn that her son, Sam, is about to become a father at nineteen, Lamott begins a journal about the first year of her grandson Jax’s life. 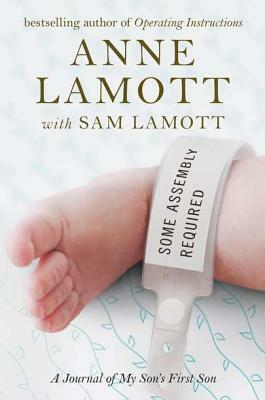 In careful and often hilarious detail, Lamott and Sam—about whom she first wrote so movingly in Operating Instructions—struggle to balance their changing roles. By turns poignant and funny, honest and touching, Some Assembly Required is the true story of how the birth of a baby changes a family—as this book will change everyone who reads it. Sam Lamott is an inventor, designer, entrepreneur, and artist who lives in San Francisco.